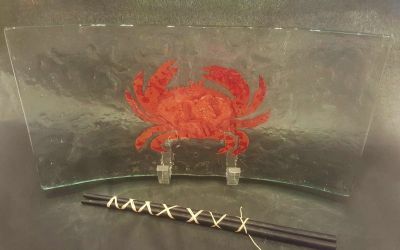 Enjoy your sushi on this beautiful handmade glass crab plate. Plate measures about 6"x12", chopsticks included. Made in the USA. Food safe, hand wash, do not microwave.